The smoke-free Comfort Inn Gaslamp Convention Center hotel in San Diego, CA makes you realize that behind every great day is a great night. 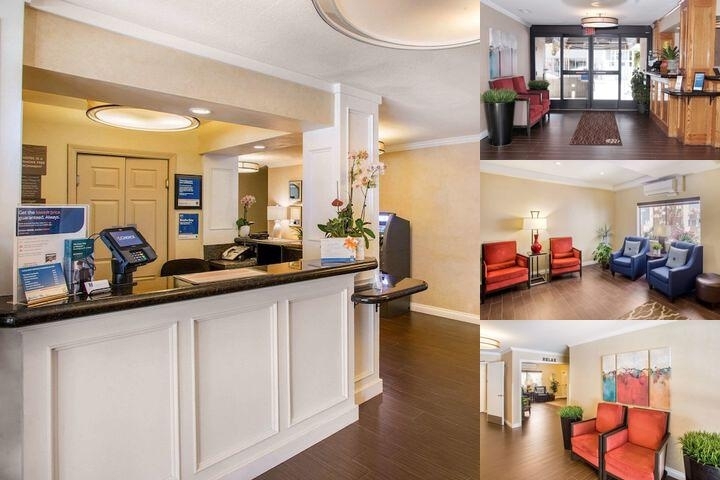 Located only minutes from San Diego International Airport-from which we provide free transportation--the renovated Comfort Inn lets you get rested and ready to take on the day, including visiting such nearby attractions as San Diego Convention Center, SeaWorld and San Diego Zoo. Enjoy such amenities as free WiFi, free hot breakfast and a business center. Your guest room features a refrigerator, microwave, coffee maker and TV. Also, earn rewards including free nights and gift cards with our Choice Privileges Rewards program. Rested. Set. Go. Parking charge: 20.00 USD per day. Below are the meeting, banquet, conference and event spaces at Comfort Inn Gaslamp Convention Center. Feel free to use the Comfort Inn Gaslamp Convention Center meeting space capacities chart below to help in your event planning. Hotel Planner specializes in San Diego event planning for sleeping rooms and meeting space for corporate events, weddings, parties, conventions, negotiated rates and trade shows. 12 x 10 x 0 M.